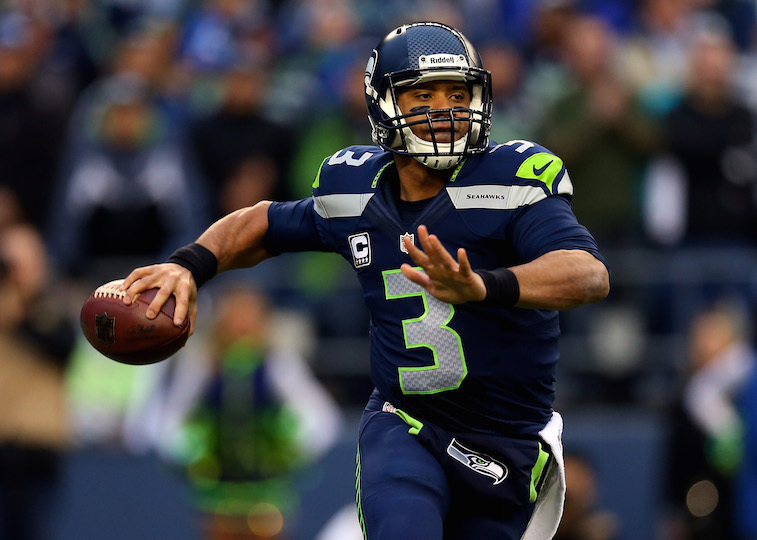 After months of rumors and speculation, the Seattle Seahawks and quarterback Russell Wilson have finally come to terms on a big-money contract extension. After signing his new four-year $87.6 million contract with the team on Friday morning, Wilson went from being a player who was scheduled to earn less money in 2015 than his team’s kicker, Steven Haushka, to being the second-highest paid player in the league in terms of average yearly salary. The deal came at the last possible second, as Wilson had instructed his representatives to shut down negotiations when the Seahawks opened training on Friday morning. For all of the hoopla surrounding Wilson and his desire for a record-breaking contract that would make him the highest-paid player in the history of the NFL, we found the terms of his new contract to be mildly surprising. The four-year deal is fair for both sides and is completely in line with market value for franchise quarterbacks. While we continue to stand firm in our stance that Wilson is not a top-five NFL quarterback, we do believe that he was worthy of his new contract. Especially when you factor in the value of the recent deals signed by Colin Kaepernick, Andy Dalton, and Jay Cutler. As it turns out, Wagner got the contract extension he was looking for just 48 hours after Wilson signed his, but the 25-year-old linebacker’s initial assertion has already proven to be true. Shortly after Wagner signed his four-year, $ 43 million contract extension that included $22 million in guaranteed money, the Seahawks were forced to release defensive tackle Tony McDaniel in a salary cap space-saving move. While Wagner is surely pleased to be the highest-paid inside linebacker in the league, he will now be without one of the more underrated defensive tackles in the league eating space in front of him. 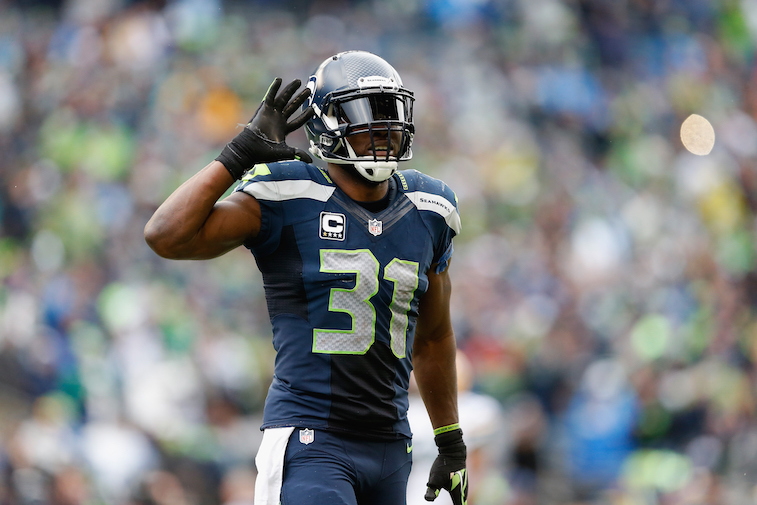 What’s even more concerning for the Seahawks is the fact that All-Pro safety Kam Chancellor (pictured above) has decided to holdout and has yet to report training camp. However, the situation with Chancellor is far trickier for the Seahawks than the Wilson and Wagner situations were. In case you aren’t totally up to speed, Chancellor signed a five-year, $35 million contract extension with the team back in 2013, but the former Virginia Tech Hokie now wants a new deal after since developing into one of the best safeties in the league. While we are not arguing that Chancellor has outplayed his contract up to this point, he simply doesn’t have the bargaining power that Wilson and Wagner, who were both still playing on their rookie contracts, did. Furthermore, re-negotiating Chancellor’s previous contract extension after only two years would set a dangerous precedent for the Seahawks going forward. The Seahawks will be up tight against the salary cap if the team is able to work something out with Chancellor, but they still have to worry about guys like left tackle Russell Okung, defensive end Michael Bennett, outside linebacker Bruce Irvin, and tight end Jimmy Graham, who will all be in search of new contracts within then next two years. If the Seahawks keep playing at their current level, there really is no way that they can keep their current roster in tact. All contract and salary cap data courtesy of Spotrac.